The Crown Hotel is a first-class tavern in Lockerbie town centre and is one of the best venues in the south-west of Scotland. The Crown Hotel is situated in the centre of Lockerbie just a few minutes walk from the town s railway station. The relatively close proximity and being one of the first Scottish towns for those travelling north has made Lockerbie an attractive and convenient break as well as being an important market and provincial town for this part of the south-west of Scotland. The Crown Hotel has six bedrooms: Four Twin one Triple and one Double Master Bedroom. Four rooms are en suite and two with shared bathroom. Hotel s rooms are newly refurbished and finished to high standard. The bar and restaurant have been transformed into a modern open-plan bar and catering operation yet with all the traditional features of a comfortable inviting and congenial quality venue. 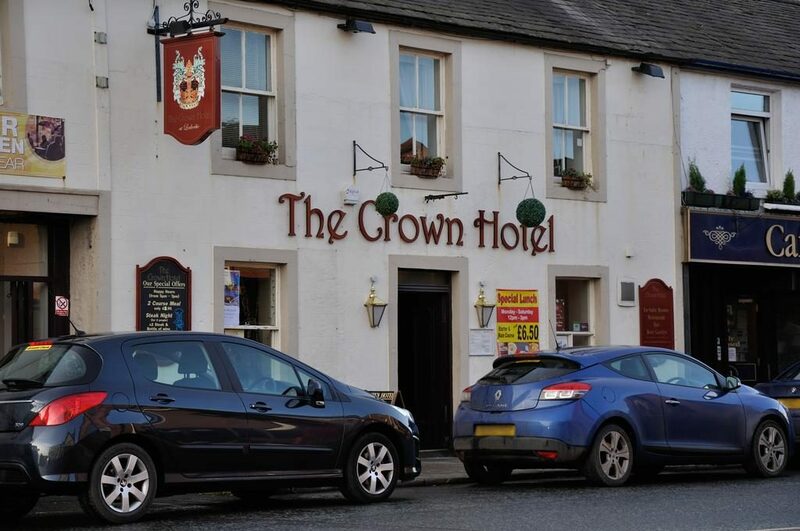 The Crown Hotels s restaurant is offering good food and a place to relax in comfortable surroundingsThe Crown Hotel is in the centre of Lockerbie, just a 5-minute walk from Lockerbie Train Station. The Crown is a 2-minute drive from the M74 motorway, with free on-street parking outside and free public car parks nearby. Rooms at the Crown have flat-screen TVs and tea/coffee making facilities. Most rooms have en suite bathrooms. Traditional home cooked breakfasts are served daily and there is also a lunch and dinner menu. The well stocked bar has a good selection of ales, wines and spirits. The hotel is 15 miles from Gretna and the English/Scottish border. Lochmaben Golf Club is less than a 10-minute drive from the Crown Hotel.